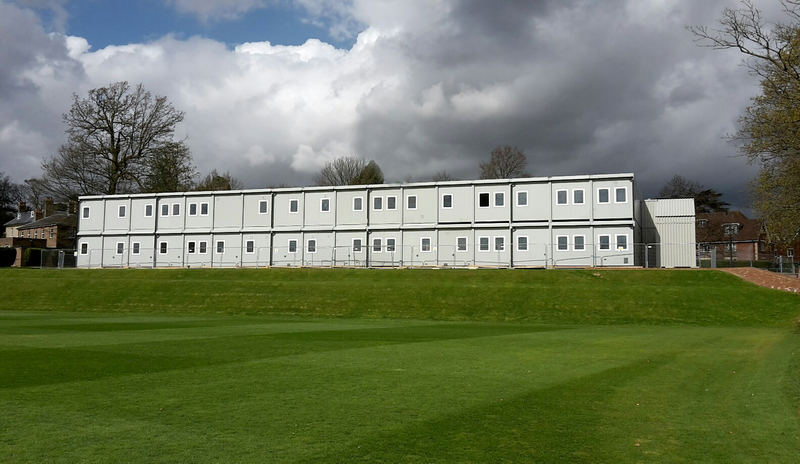 Tonbridge School is one of the leading boys’ boarding schools in the country and is highly respected internationally. 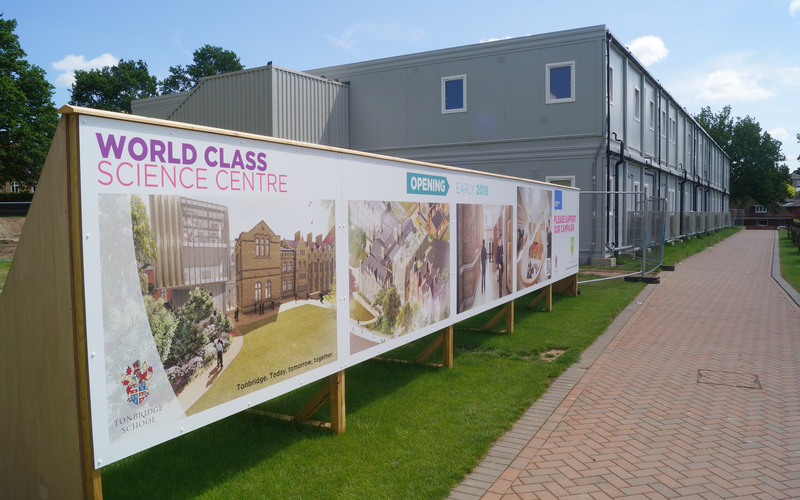 Premier Modular Limited was selected to provide a temporary science village to form part of a large re-development project at Tonbridge School. 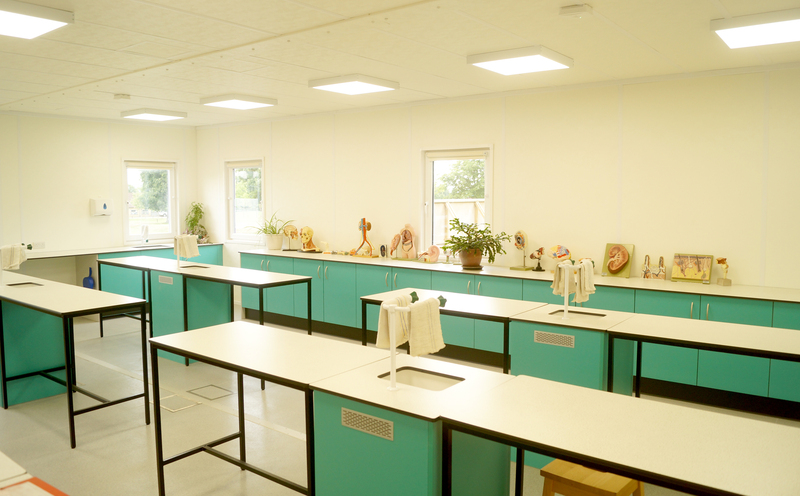 This was due to the high quality of their buildings, their flexibility and willingness to create bespoke solutions, the details presented at tender stage and the very positive references provided from other high profile private schools and large blue chip clients. 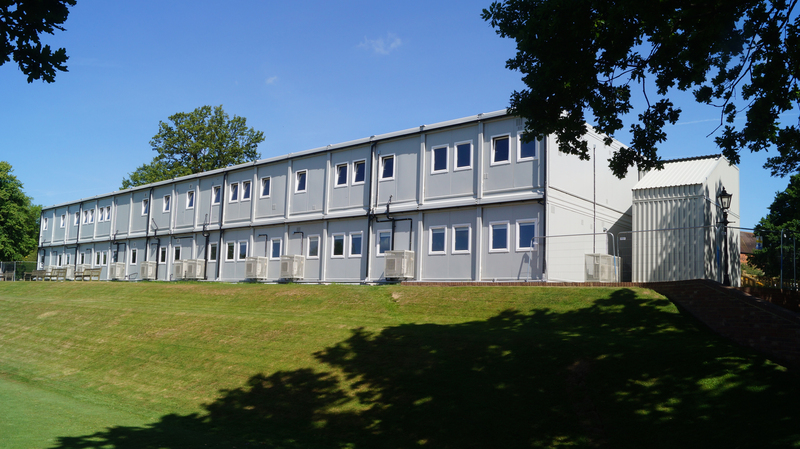 Sixty modules were installed over two storeys providing 2001m2 to be used as science classrooms, teaching rooms, prep rooms and staff offices. 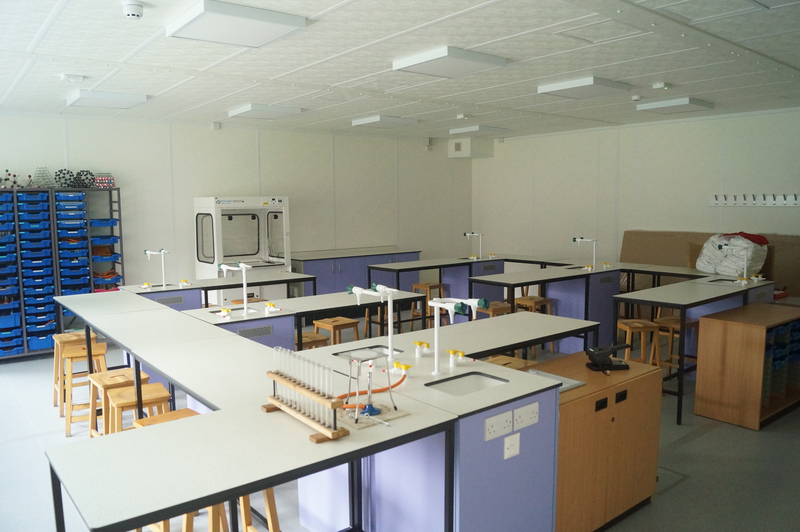 A high level of specialist internal fit-out (including full science department furniture, fume extraction systems, and complex M&E) was all completed to a high standard. This full turnkey project included the installation of associated services and foundations made more complex by the avoidance of a tank trap from WWII. Full reinstatement will occur at the end of the hire contract. 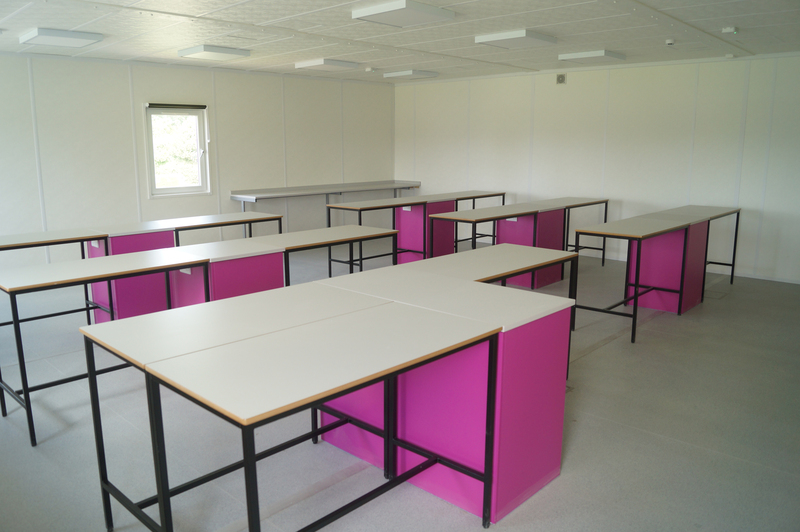 Premier has a wealth of experience in the construction sector and is well known for its experienced team, flexible approach and high quality building installs, delivering the assurance that safety standards are never compromised.